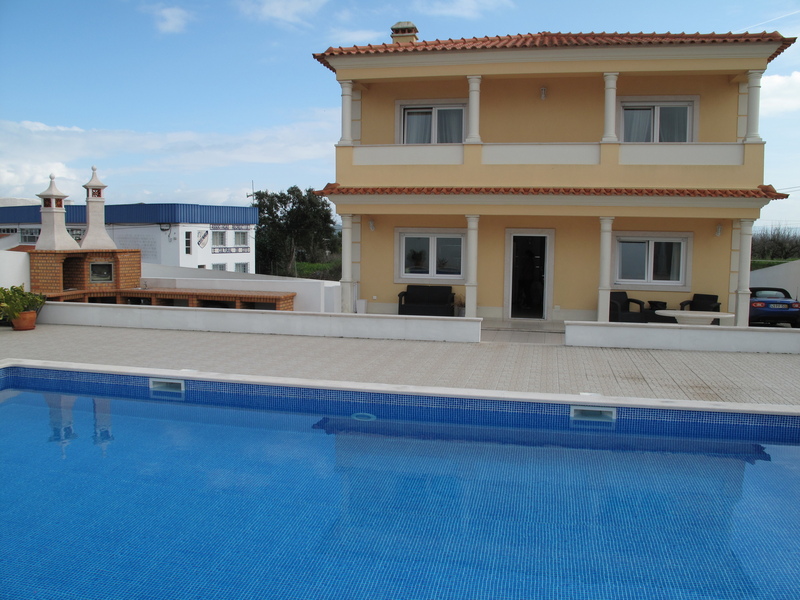 Wonderful, substantial 3/4 bedroom detached house in a sought after village location near the spa town of Caldas da Rainha, with private swimming pool and extensive terraces. This lovely property is built to a high standard and is in immaculate condition, ready to move into and is situated on the edge of the village within a short walk of good local amenities including two restaurants and several cafes. 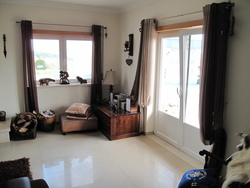 The accommodation comprises, an entrance hall with excellent built in storage and stone stairs to the first floor. From the hallway doors lead to the bright and spacious sitting room with French doors to the front terrace and a log burner with electric fan. The modern fitted kitchen is complete with built in appliances and features doors to the rear garden and pool. From the hallway there are also doors to a stylish shower room with multi jet shower and a ground floor bedroom with fitted wardrobes which is currently used as a dining room. On the first floor there are three double bedrooms, all with balconies and fitted wardrobes and one with an en suite bathroom. The family bathroom is complete with a bath tub with overhead shower and heated towel rail. The very large basement is accessed by stairs down from the hallway and has room for several cars. There is also pre installation for a WC and wash basin. Extras include central vacuum system, double glazed twist and turn windows through out and full gas central heating. Outside the rear garden has been designed for easy maintenance and is perfect for entertaining. 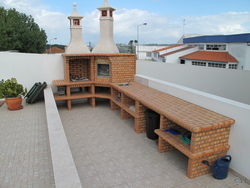 In addition to the large salt water pool there is an extensive outdoor kitchen area complete with barbecue and a pretty covered bar that also houses the pool pump. Lisbon and the airport are within an hour's drive. The lively town of Caldas da Rainha is less than 5 minute's drive and the beaches of Sao Martinho do Porto and Foz do Arelho are also close by. Caldas da Rainha is a bustling and vibrant market town on Portugal’s Silver Coast in the Estremadura region is fast becoming popular as a tourist destination and the ideal place to own a holiday home. 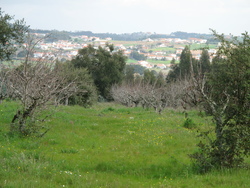 Its location only 4.9 miles (8 kilometres) from some of the region’s finest beaches and its central position less than an hour's drive north of Lisbon make it the ideal place to be based in order to set out and explore some of the charming medieval towns and fishing villages in the environs. It also boasts some first class golf hotel resorts nearby including the Praia d’el Rey Marriott Golf & Beach Resort. The town has a lively and colourful fruit and vegetable market in the main square while the stunning and dramatic saltwater lakes at Praia Foz do Arelho and Salir do Porto combine with miles of clean, golden sandy beaches which are perfect for a family day out.